SACRAMENTO, Calif. -- Gov. 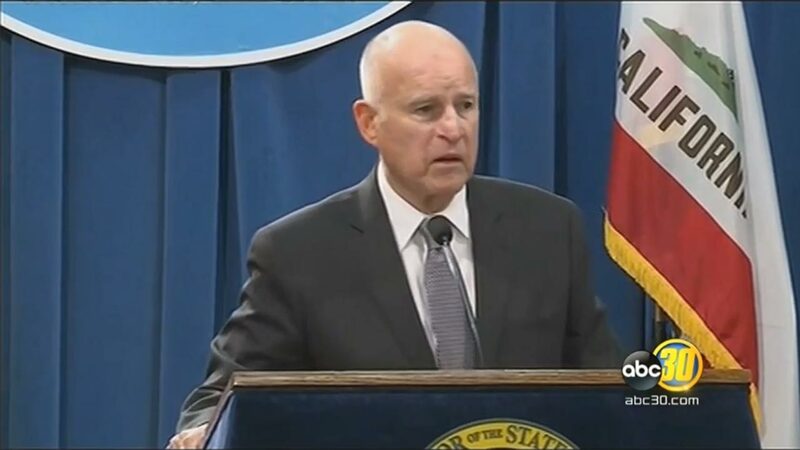 Jerry Brown proposed a $131.7 billion spending plan Wednesday, his last as California's governor. The proposal by the Democrat is up 5 percent from last year's budget but largely avoids spending on new programs. It uses surplus money to boost the state's rainy day fund by $5 billion, which Brown says is necessary to prepare for his prediction of a looming recession. "It's not exciting, it's not funding good and nice things, but it's getting ready and that is the work of a budget," Brown said. Brown's budget plan comes as California wages a multi-front battle with Republican President Donald Trump that has, so far, had little impact on the state's finances. California's tax collections over the past six months are billions above projections. Brown's budget is his opening proposal in five months of spending negotiations with the Legislature, which must approve a balanced budget by June 15. Last year, he signed a $125 billion budget that boosted payments for Medi-Cal doctors and dentists who provide care for the poor and increased funding for education and social services. Brown has generally shies away from new ongoing spending that he says the state can't afford to sustain, preferring to use much of the state's higher revenue for one-time expenses like new state buildings or paying down debts for the pensions and health benefits of retired state workers. His caution often puts Brown at odds with senior Democrats in the Legislature, who prefer to use the state's increasing inflow of tax revenues to lower college costs and strengthen the California's social safety net for the needy. Assembly Democrats last month proposed $4.3 billion in new spending, including an expanded tax credit for the working poor and health coverage for immigrants living in the country illegally. They also proposed boosting reserves, including the state's Rainy Day Fund, by $3.2 billion. Brown, who leaves office in a year, has focused much of his second stint as governor on stabilizing the state's long-term budgeting during a period of fiscal prosperity. Taking the reins as the state clawed out of the devastating Great Recession, he backed a ballot initiative that forced the state to save money and pay down debts. He's presided over a stark turnaround in California's fiscal fortunes while warning that the next recession - and a steep drop in revenue - could be just around the corner. The state's budget has grown 45 percent since 2011, when he took office and includes more than $50 billion in additional revenue.